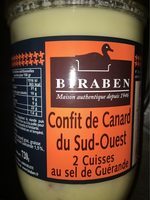 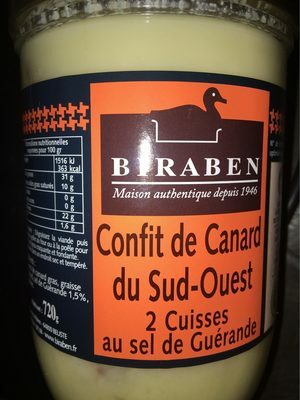 2 cuisses de canard gras, graisse de canard, sel de Guérande 1 t5%, ail, poivre. 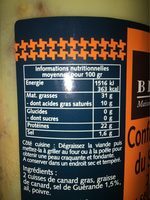 Product added on November 15, 2017 at 10:08:34 PM CET by kiliweb. 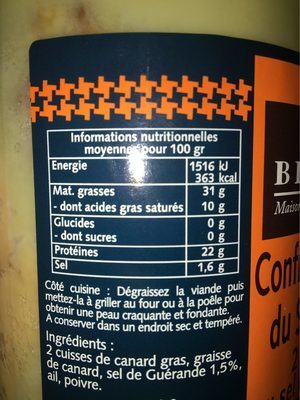 Last edit of product page on February 12, 2019 at 8:09:48 PM CET by teolemon.